Group health insurance is essentially insurance provided to members of a group at a discounted rate by insurers. The insurers are able to provide this coverage at a discount because they’re taking on a pool of insureds that they can spread the risk out among. For many employers, group health insurance is perhaps the most important fringe benefit they offer because its advantageous tax-wise to both employers and employees. Employers benefit because they get a tax deduction for offering coverage. Employees benefit because compensation their employers provide them with to meet premiums is untaxed. To Find Out More About Group Health Insurance, Give Us A Call at 240-580-1839, or Request a Quote. AlthoughMost Americans receive their health insurance through an employer-sponsored plan, people who are self-employed, work part time, aren’t working or work for a business that doesn’t provide health coverage are typically on their own. Let us help find a plan that is right for you. 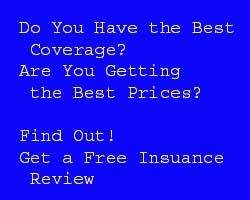 To Find Out More About Individual Health Insurance, Give Us A Call at 240-580-1839, or Request a Quote.